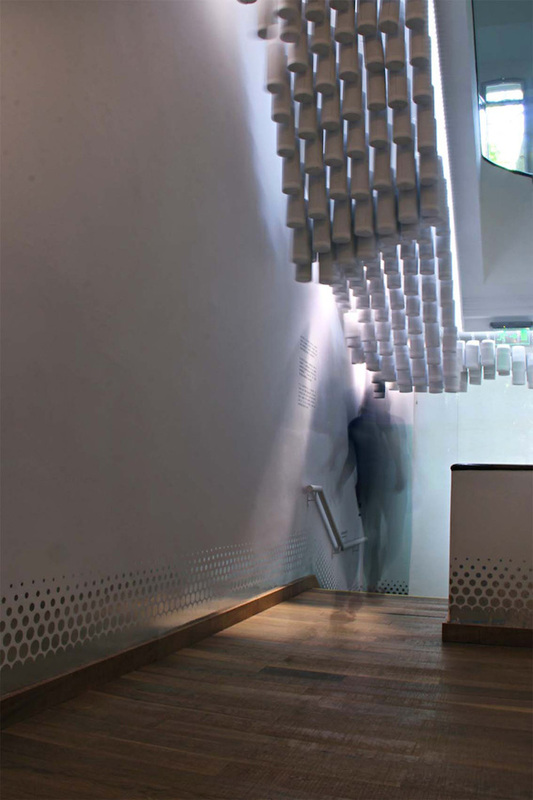 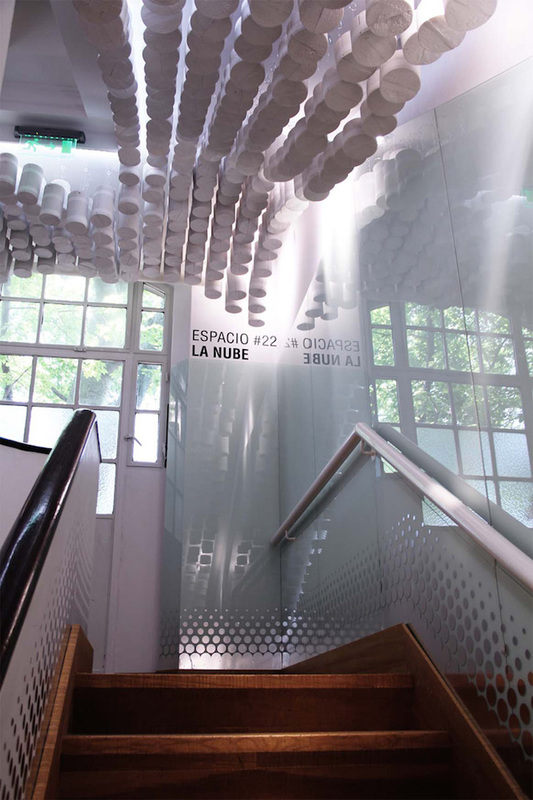 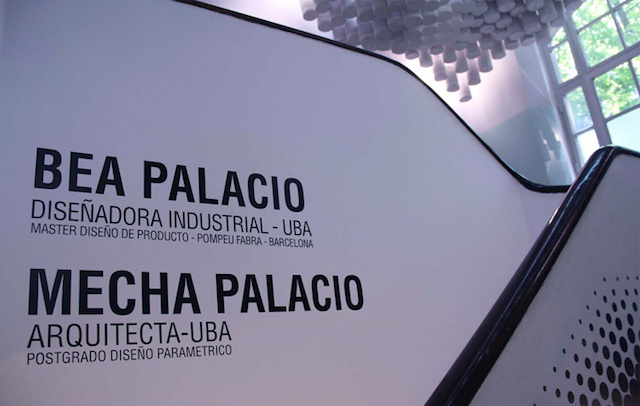 This installation is imagined and made by Bea et Mecha Palacio, respectively designer and architect. 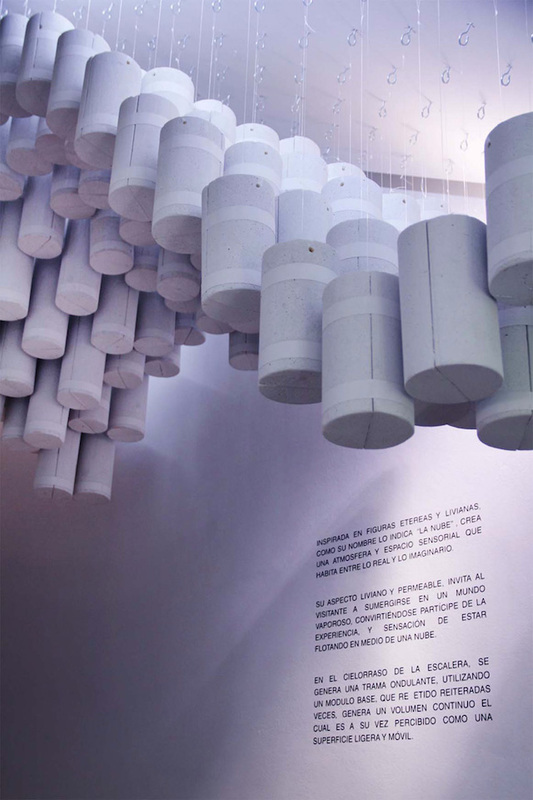 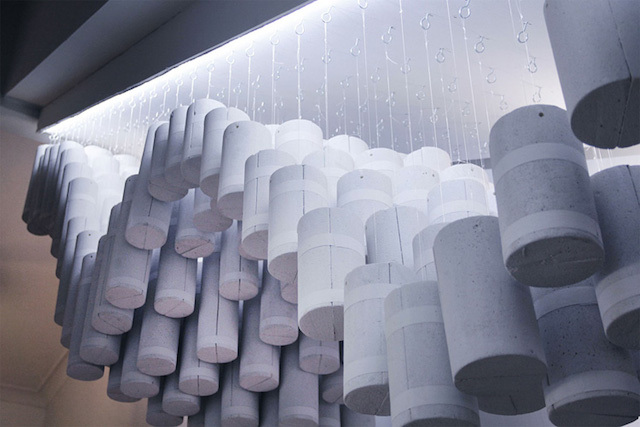 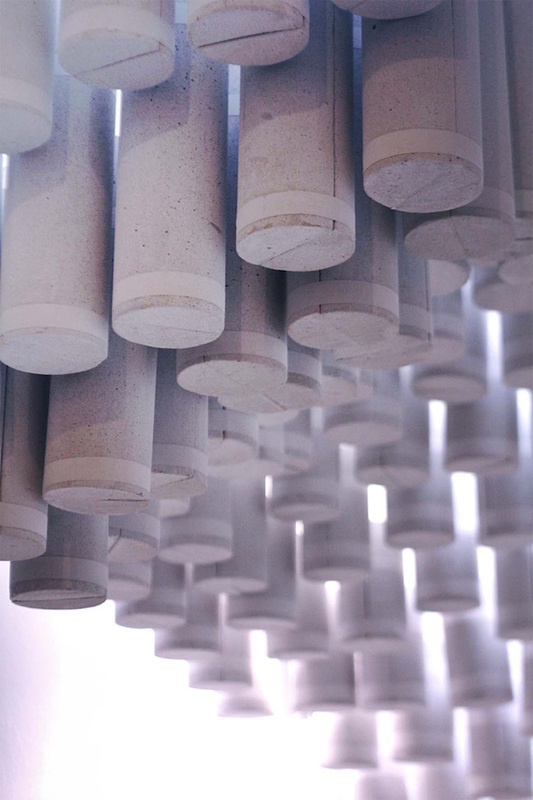 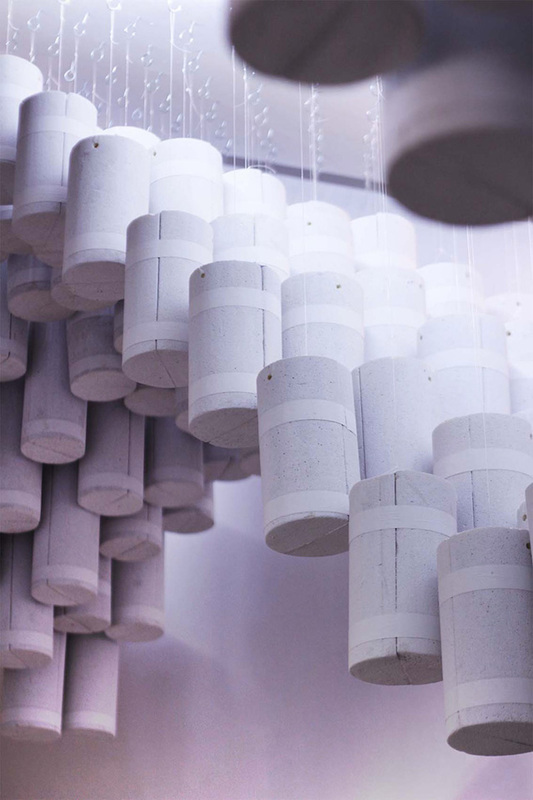 Reminding the celestial shape and curls of clouds, this ceiling ensemble of white cylinders immerse the visitor into peaceable and poetic atmosphere. 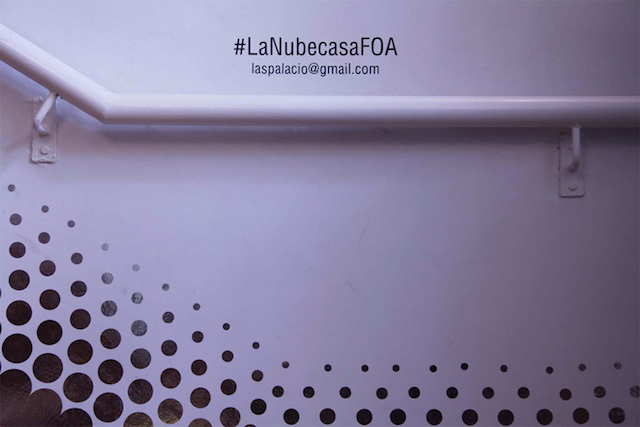 To discover below.